Businesspeople (particularly, businessmen) are the favorite villains of Hollywood. The latest piece of evidence: the newly released movie Gold, starring Matthew McConaughey, loosely based on Canada’ best-known and most spectacular mining fraud. Bre-X was a gold mining company whose chief geologist salted core samples with river gold, leading the company to announce a massive find in the jungles of Indonesia in the 1990s. The Bre-X story had a bad ending, as the stock crashed when the truth came out and most investors lost their money. Gold apparently also ends in a failure of the company of McConaughey’s character (I have only read reviews, not seen the movie), for similar reasons as its real-life counterpart did: investors were defrauded, and no value was created. What most viewers of Gold and countless previous movies with greedy “businessman” villains don’t realize is that these portrayals are not of businessmen but of crooks who do not deserve to be called businessmen. Only people who operate companies that produce actual goods and services that customers value (are willing to pay for) and therefore generate a return on owners’ investment deserve the title ‘businessman’ or ‘businesswoman.’ (Of course, I also grant the title ‘businessperson’ for anyone who honestly strives to provide value to customers and a return to the owners but may not ultimately succeed in market competition). Businesspeople who produce material values are not the same as crooks who prey on gullible investors or customers or both, and produce nothing. “Despite Hollywood’s best efforts to package together the two opposites, producers and predators, it is crucial that we don’t fall for this dishonesty. Businesspeople who produce material values are not the same as crooks who prey on gullible investors or customers or both, and produce nothing. Making a distinction between the two is in our self-interest, because the producers deserve our encouragement, patronage, and gratitude while the predators must be condemned, shunned, and punished. The values that the producers—the real businesspeople—create benefit us tremendously, whereas the preying crooks rob us of values. Without producers such as Steve Jobs, Bill Gates, Larry Page and Sergey Brin we wouldn’t have iPhones, productivity-enhancing software, or the Google Internet search engine and other products and services that make our lives better every day. To consider them essentially the same as the criminals such as Bernie Madoff and those at Bre-X who resorted to fraud to line their own pockets at the cost of investors, is immoral and unjust. It only encourages the crooks and helps them get away with their crimes (like Madoff did for two decades) and discourages the producers. While it is possible for predators to use a business as a cover-up for their crime, in its essence, a fraud is a fraud, an attempt to create profits out of ‘thin air,’ by sacrificing others, with no material values created. The essence of business, on the other hand, is the creation and trade of material values for profit. However, material values cannot be created and traded by fraud and sacrificing others. It is possible to defraud investors or to steal goods and sell them, but such activities do not lead to creation of values, only to their loss, as every predator pretending to be a businessman and his victims eventually find out. As for the movie Gold, I am going to pass. Portrayals of crooks and predators may be interesting and even entertaining, but they are hardly inspiring. And if they are sold as portrayals of businesspeople, they are also dishonest. Previous articleWhat does it take to “make America great again”? Jaana Woiceshyn teaches business ethics and competitive strategy at the Haskayne School of Business, University of Calgary, Canada. She has lectured and conducted seminars on business ethics to undergraduate, MBA and Executive MBA students, and to various corporate audiences for over 20 years both in Canada and abroad. Before earning her Ph.D. from the Wharton School of Business, University of Pennsylvania, she helped turn around a small business in Finland and worked for a consulting firm in Canada. Jaana’s research on technological change and innovation, value creation by business, executive decision-making, and business ethics has been published in various academic and professional journals and books. 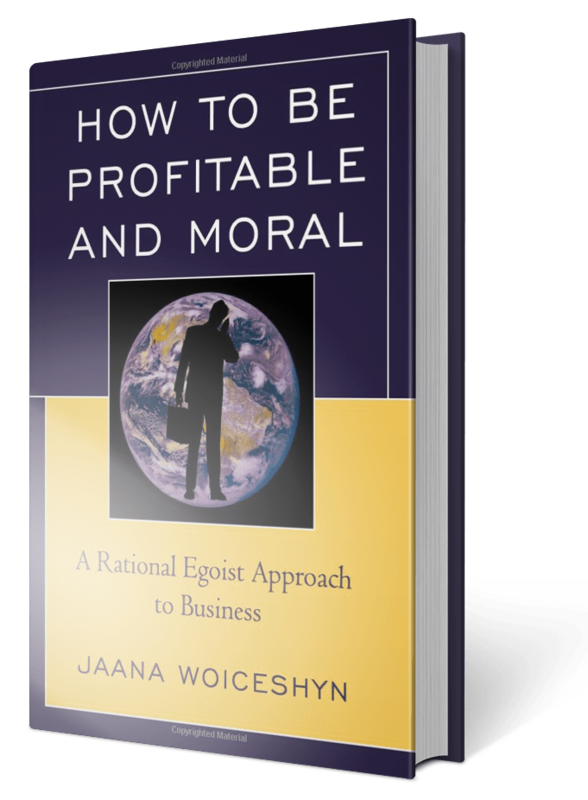 “How to Be Profitable and Moral” is her first solo-authored book.